There is a printable coupon that is still available, valid for $2 off the purchase of any Oxi-Cean product. Print and use this coupon and your Oxi-Clean is free. It is a SmartSource coupon so beyond the limit of two prints per computer, you may be able to print more using different browsers, but keep in mind that Food Basics may limit the number of printable they will take. Click here to get your coupon for $2 off the purchase of any Oxi-Clean product. 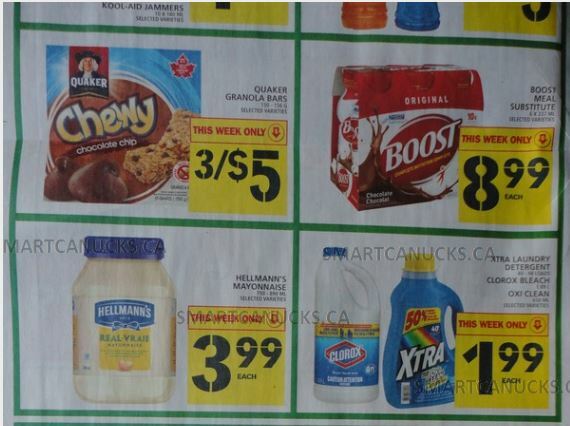 Click here to view this offer in the Food Basics Ontario flyer that is valid until the 13th of February. The link for the coupon doesn’t go to smartsource.ca. Also, there is no coupon for the Oxi-Clean on the site that I can see.